Arua was our first schedule destination in Uganda and it is still our major schedule route. 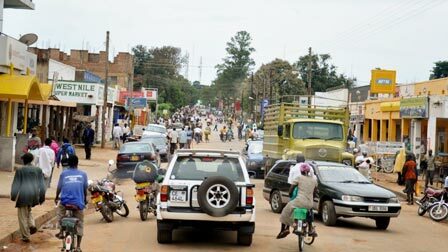 Arua is located in the West Nile region boardering South Sudan and DR Congo. 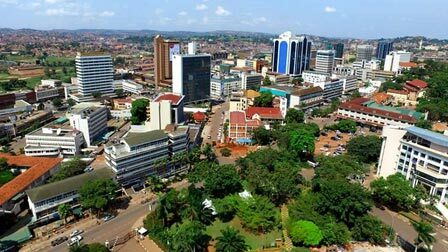 Arua is a growing business centre for West Nile and the neighbouring Countries of South Sudan and DR Congo. It is also closer for people in the region who want to make flights to Countries such as Central Africa Republic , South Africa and China. Arua Airport ‘s strategic location makes it an important centre for passenger and cargo air traffic between Uganda and its traffic to the neighbouring Countries of DR Congo and South Sudan. Arua is the second busiest airport in Uganda, after Entebbe International Airport , according to Civil Aviation Authority. Arua Airport is one of the 13 up country airports administered by CAA and one of the five up country airports authorised to handle cross boarder air traffic from neighbouring countries to promote tourism within Eastern Africa. Arua Airport is already designated for International flights but it needs to be upgraded with facilities that will enable it to handle a series of aircrafts and smaller sizes . Eagle Air lands Arua Five times a Week; MONDAY, TUESDAY, THURSDAY, FRIDAY and SATURDAY out of Entebbe International Aiport. The Flying time from Entebbe to Arua is approximately 1 hrs ; 20 min.